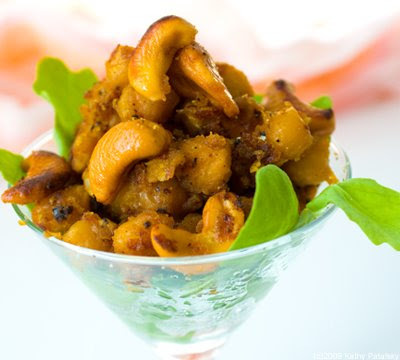 Toasty Chicks 'n Cashews: Spicy Sweet. Snackable! 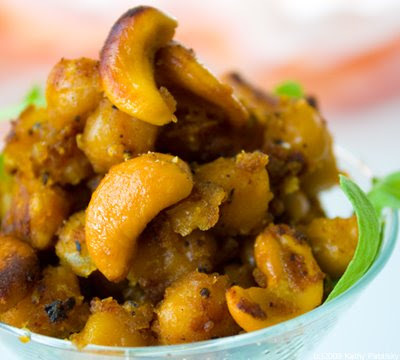 optional: 1 tbsp lemon juice for moister chickpeas with a zesty flavor. optional: 1/2 tsp liquid smoke for a smokier flavor. *I basically did a mix-match of spices. I loved the flavor that came out, but if you want to modify it a bit I'm sure it will be just as tasty and healthy! 1) Drain beans very well. 2) In a skillet, add 1 Tbsp oil and turn heat on high. 3) Add half the portion of beans and coat well in oil. 4) Allow beans to toast to brown. Toss a bit and let toast again. 5) Add in additional oil and beans. Toss well. 6) Shake pan and toast outside of beans a bit more. 7) When the beans have some nice brown edges, add in the remaining ingredients (except the cashews)-add the agave first. Toss well. Then add in all the spices. 8) Toss well-coating the beans evenly with spices. 9) Reduce heat to med-high and allow to cook through. A little more browning is a good thing. When the beans look just about done-and have absorbed all the liquid, add in the cashews. 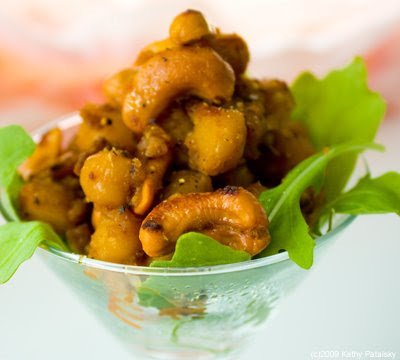 Toss cashews with beans-they should soak up any remnant spices and moisture. 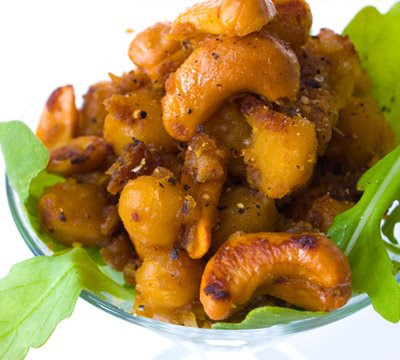 10) Brown the beans and cashews as much as you'd like. However, if the beans start getting mushy-you know they are done. Try to pull them from the heat before the much occurs though. 11) Let cool slightly before serving. Serve over salads or on their own.